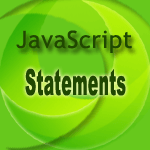 The throw statement creates a user define exception. You can create your own exception for unexpected events and control the script properly to throw the exception in a try block and handle it in the catch block. exception: String, integer, Boolean or an object. The following example checks the length of a variable called empcode. If the value of empcode is greater than 8 or less than 3 then the code throws an error and caught by the catch argument and an appropriate message will be displayed. See the Pen throw-1 by w3resource (@w3resource) on CodePen.